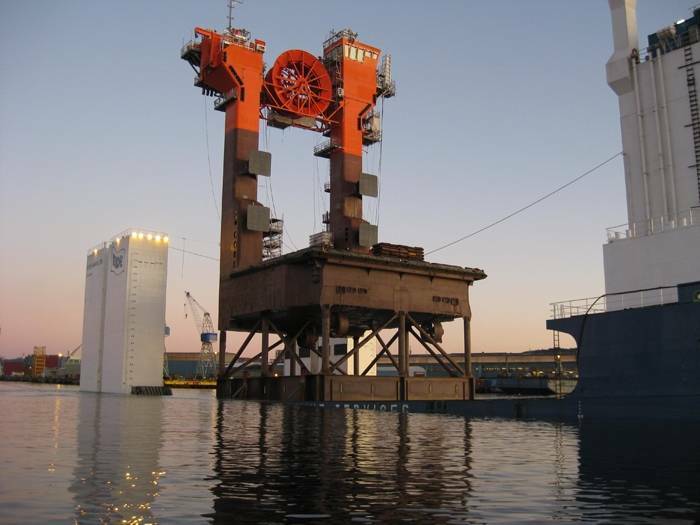 Remora is a Norwegian company, focused on providing solutions for offshore O&G loading. 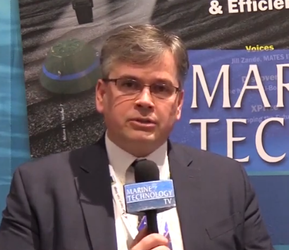 The company was established 2002 and has its head office in Stavanger, Norway and an office in Houston. Remora does business using a ship-owner structure by building, owning, leasing and operating HiLoad units. 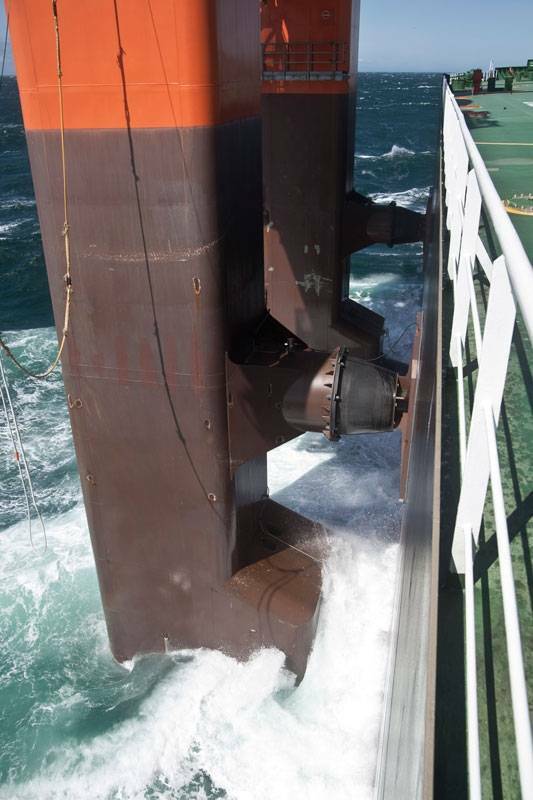 The range of HiLoad applications spans from offshore loading of crude oil, turret mooring of FSOs and FPSOs, as well as a mobile propulsion or DP system for seagoing vessels such as barges and floating rigs. 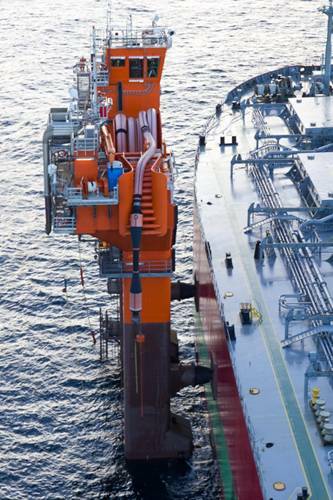 The HiLoad concept is an innovative offloading solution which utilizes a ballasting system combined with a large square area of friction rubber which enables the HiLoad units to replace the water pressure on the tanker hull with no mechanical connection, resulting in a friction force 20 times larger than needed to keep a tanker vessel in position in rough sea states. With all tankers in the world having flat bottoms and straight sides, this enabled Remora to its HiLoad units in such a way that it can couple with any tanker of opportunity, operate in any water depth or on any oil field without requiring modifications. The HiLoad technology is based on the patented HiLoad Attachment System. Its applications include offshore loading of crude oil, external, detachable turret mooring systems for FSOs and FPSOs as well as add-on propulsion for semis, barges and ship shape hulls. 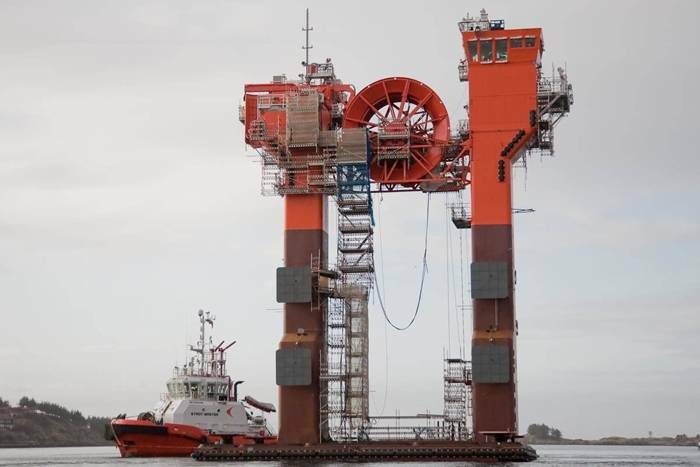 At 47 metres tall, 28 metres long and with an 11 metre keel, HiLoad DP unit No. 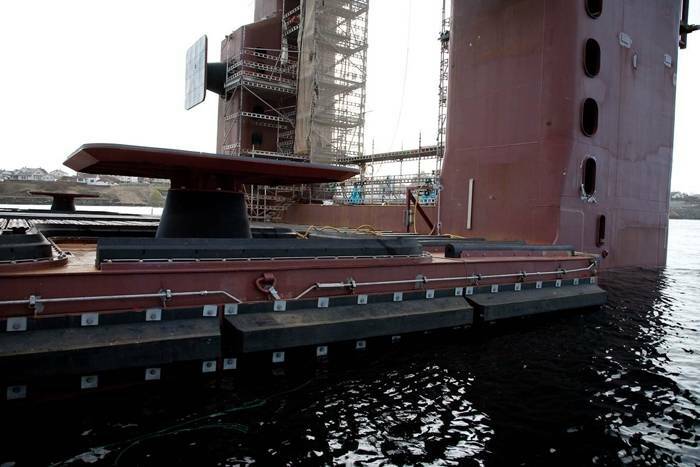 1 looks top-heavy, yet the craft is designed to load oil from FPSOs directly onto a standard tanker with no extra equipment. 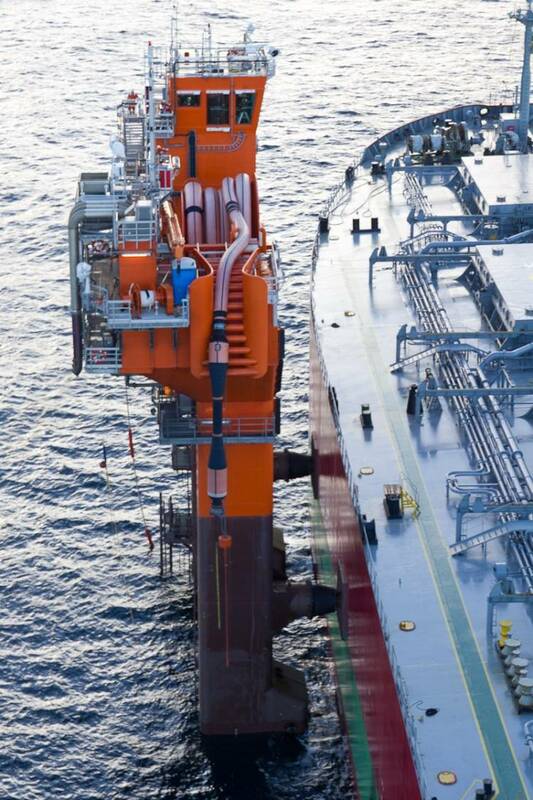 A suction slab grabs the tanker below the water line, and more suckers on the section of the craft above the surface secure a hold higher up on the tanker’s hull. 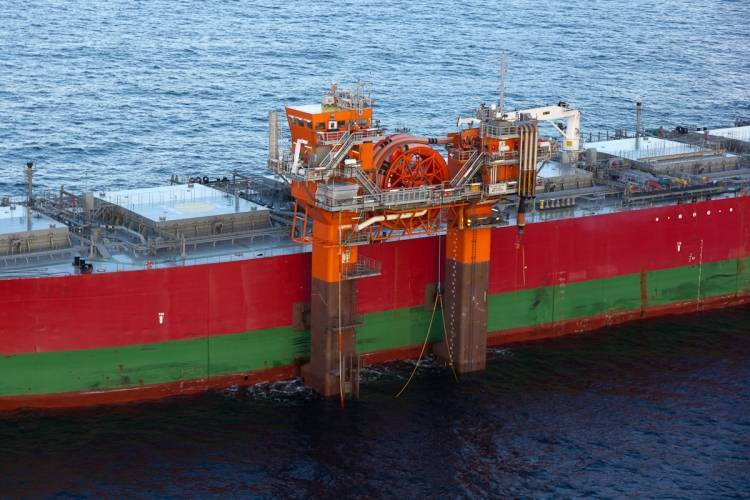 Once attached, three powerful DP thruster engines that can rotate 360 degrees keep the host tanker steady and a safe distance from the FPSO. 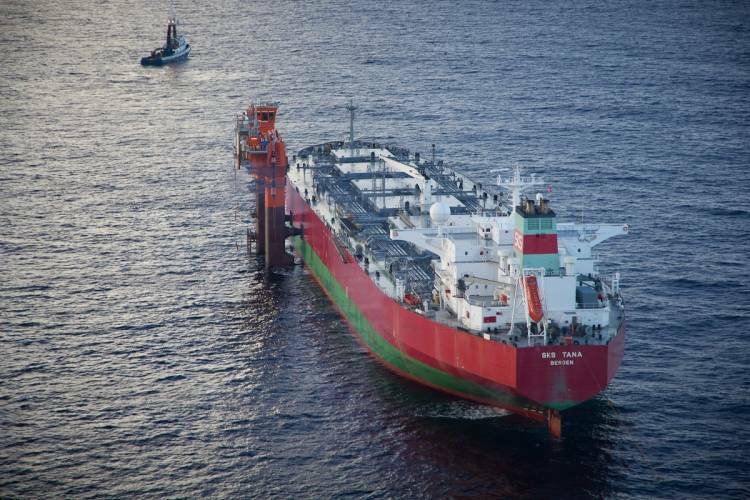 A hose attached to the HiLoad from the FPSO fills the tanker with crude. HiLoad DP No. 1 and its crew of three can travel at four knots and up to three nautical miles from its mother ship or an FPSO to which it can attach itself when not in use. 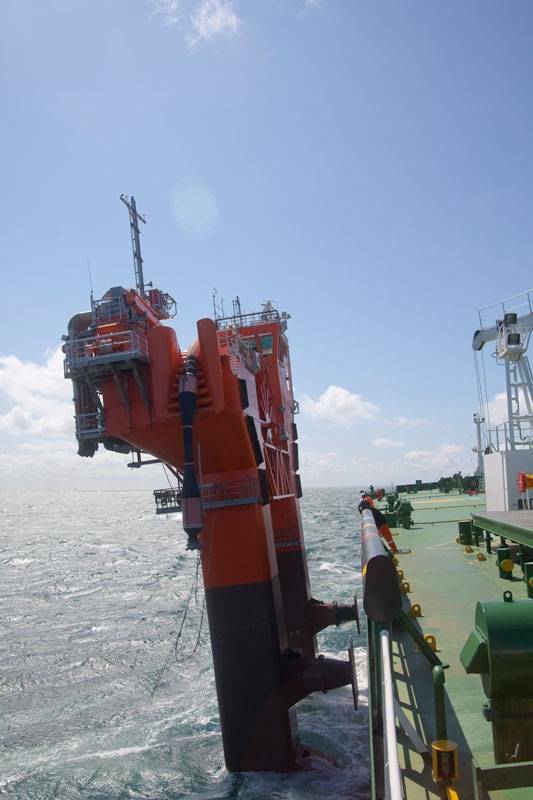 It can handle any tanker up to Suezmax size (160,000 DWT), grabbing it and loading it with oil in a process that takes 24-30 hours. It offers a cost-saving alternative to specialist shuttle tankers with their own DP systems, and to the use of moored loading buoys with their associated PSVs and tugs.The HiLoad DP unit No. 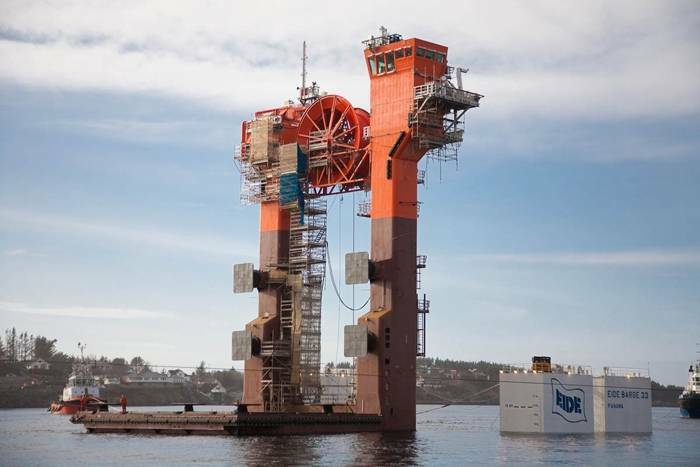 1 has already left Norway on its way to Brazil to be deployed in the far offshore Santos Basin pre-salt.